Join Panla and A Taste of Africa USA as they celebrate the culinary delights that Africa has to offer. 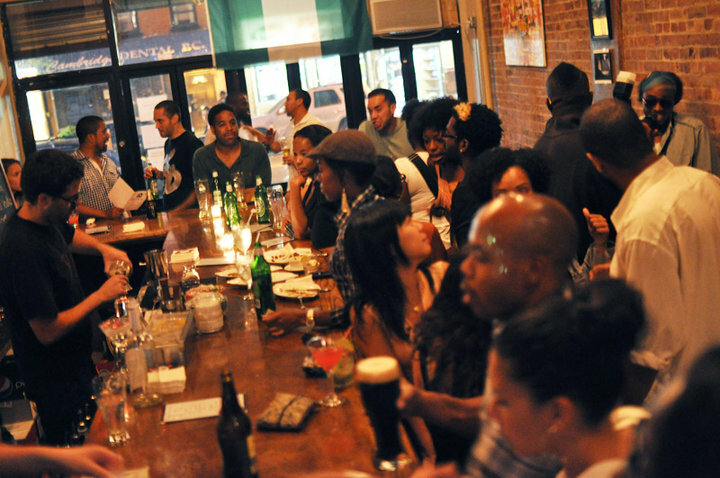 Since it’s launch last year, NYC African Restaurant Week (NYARW) has helped to bring the taste of the continent to the forefront, by allowing food lovers to ‘partake in the diversity of New York City’s thriving dining scene using a variety of discount and prix-fix three-course meal options’. This year’s events will be hosted from April 27 to May 4, 2014 at more than a dozen restaurants around the city. During the seven-day celebration, participating restaurants will offer prix fixe menus for lunch or dinner – minimum cost for lunch and dinner are $16.95 and $24.95 respectively. NYARW vouchers and gift certificates for friends and relatives are available for purchase online at www.beUevents.com via a secure payment system. In addition to the special fixed priced lunch and dinner options, diners are eligible for a 10 percent discount off regular menu items when they mention “New York African Restaurant Week” at participating restaurants. Restaurants taking part include Accra Restaurant, Brasserie Creole, Patina African Restaurant, Lalibela, Farafina Lounge, Cafe Rue Dix, Tolani Wine & Bar, The Sugar Bar, Mataheko, Jollof Restaurant, Buka Restaurant, Madiba, Queen of Sheba, Ponty Bistro, Lenox Saphire (aka Les Ambassades and L Caye. On to the list of Project Africa’s favorite spots that can be appreciated by foodies and newbies alike. From Lonely Planet: One of the first African restaurants to open up along the stretch of W 116th St now known as Little Senegal, Kine’s succulent lamb and fish dishes, with big bowls of brown rice, garlicky veggies and sometimes couscous, bring in a big lunchtime crowd. Kine doesn’t look like much from the outside, but it’s a real treat for Africa aficionados. 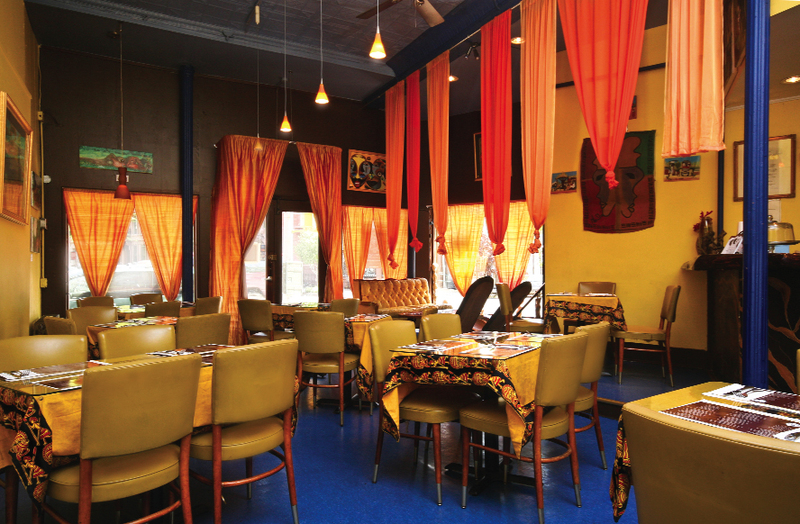 We are a West African restaurant specializing in Senegalese cuisine. After almost 20 years serving the community, we have taken a significant part in transforming our restaurant and environment into a “Taste of Senegal.” Each of our customers have the opportunity to join in at our table as family and fest in our traditional dishes. Over years our most popular dish has grown to be the Senegalese national dish called Tiebou Jeun (baked fish, joloff rice, and veggies). What makes, Joloff’s dish so special is the way the rice is cooked. It is a “broken” rice, with a jasmin flavor, cooked into a deep tomato sauce. This is what we call the “joloff” rice, which is also the specialty of the house. In order to be a cook at Joloff Restaurant, you have to love cooking, which is mostly what distinguishes our cooks from those in other restaurants. All of our dishes are made daily upon request and with tremendous love. Our juices and pastries are all homemade and freshly made. Unlike a lot of other West African restaurants, we understand the value of a healthy lifestyle and wholesome food. Originally, the recipes of Joloff Restaurant were developed in order to feed Papa’s Rastafarian friends, who were all vegetarians. As his popularity grew in the catering business, Papa realized that there is a huge need for vegetarian food, especially in Brooklyn. 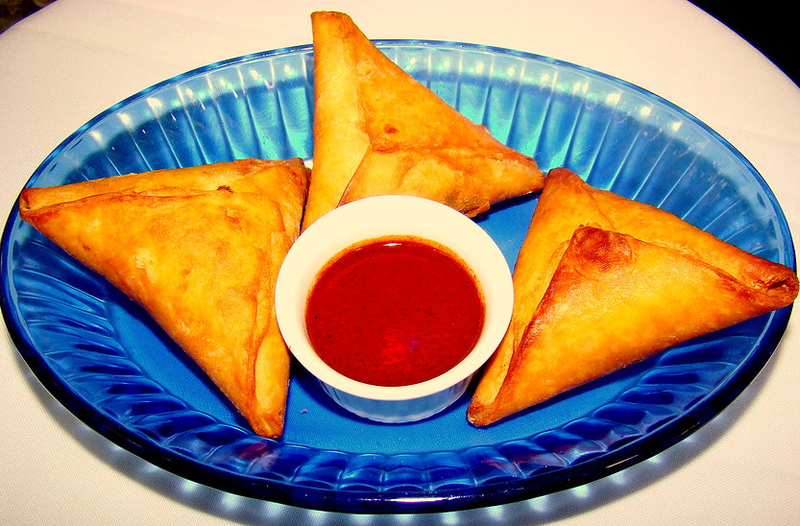 Therefore, our menu also features an assortment of vegetarian and vegan options to support all of our customers needs. 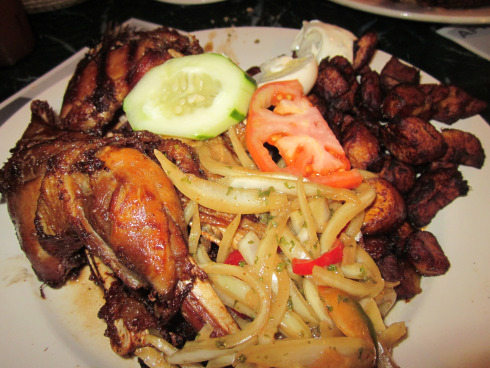 Massawa Restaurant has been a New York City favorite for 25 years. 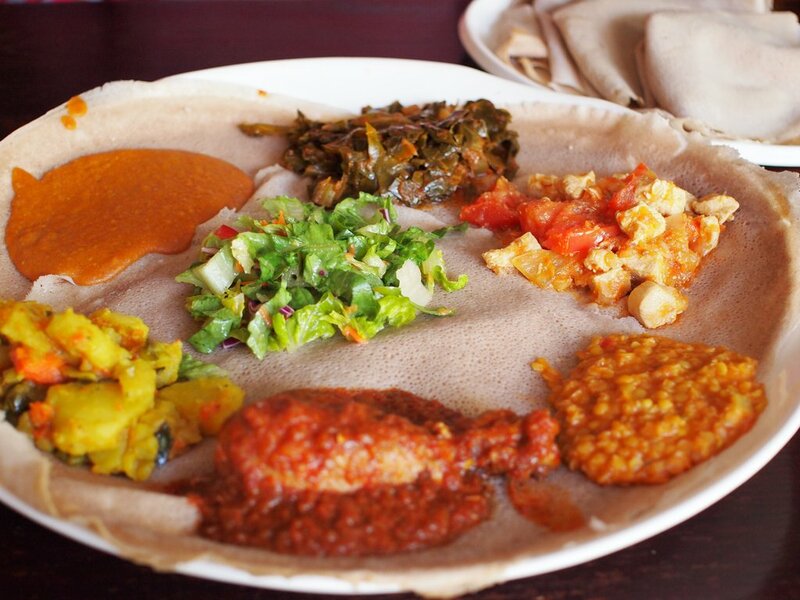 The restaurant serves fine Eritrean and Ethiopian food that is nationally known. It is a family-run business and has many loyal patrons that have enjoyed the food for years. In Clinton Hill, Buka (“Eating House”) is a new Nigerian restaurant on Fulton Street, but it certainly isn’t the first—there’s been a constant national presence on the thoroughfare going back 30 years, to the aftermath of that country’s oil boom and subsequent economic bust. While the presence has been mainly limited to shipping companies, art galleries, and boutiques selling West African togs, in the ’80s there was a place called the Demu Café a few blocks west in Fort Greene, with a menu hilariously mixing bagels and fufu (white yam pounded to an elastic consistency). Buka’s premises are deep and high-ceilinged. There’s a lounge up front with a comfy couch and bar, where a recently conferred liquor license makes Buka one of the few West African restaurants in town serving alcohol (most West African restaurants are run by observant Muslims). A narrow hallway leads past a kitchen to the rear dining room, which is sparsely decorated and contains only 10 tables despite its prodigious acreage; if you’re tired of cramped restaurants, this is your place. The sole diner as we arrived was a woman eating fufu and stew, but later a group of 10 boisterous men in colorful caftans settled down to a leisurely and convivial meal. The rest is a great account of the food and the reviewer’s experience. At Abyssinia, it all started with the bread. For years before the owners opened this little Ethiopian restaurant in Harlem, they supplied homemade injera, the tart, spongy flatbread that’s a national staple in their homeland, to expats and even restaurateurs through a thriving cottage business. Chowhounds say they still make some of the best injera in town—it’s for sale at the back of the restaurant—as well as satisfying, powerfully flavored Ethiopian dishes to go with it. Check back here for more about Restaurant Week as it approaches.